The man was a retired Marine who is now working as a management consultant. I was instantly intrigued. I asked him what lessons he learned from the military that he felt were the most valuable to him in his new line of work. He answered very quickly. His top pick was “systems” and “standards”. Wow! I couldn’t agree more and I let him know this. I told him he was going to be the inspiration behind my next blog post. You see, we often times catch ourselves in situations that take up a huge amount of energy addressing the same problem over and over again in our business. Sound familiar? Why does this happen? How can we prevent this? What do we need to do or become to help ourselves? We need better systems and standards in our business. Here are some ways you can help yourself. Please understand, however, there will be an investment of your time and energy creating and documenting these things, but like any other investment, do it correctly and you should yield positive results. No matter the size of your business, (yep, even if it is only you) all businesses deserve a systematic way of creating accountability. The best way to do this is to “declare” to everyone in your business, staff and clients, that you have standards you wish to operate by and expectations you intend on being held accountable to. Here’s a quick tip. If you want your staff to understand and accept the notion of accountability, the business must adopt this mentality first. The easiest way to make promises to staff and clients is to define a clear picture for everyone what “correct” looks and feels like. While some may feel this is subjective, and I agree to a point, your business is your business and you get to make the rules. This culture of “correct” starts with the hiring and training of staff. From the first minute you meet a potential employee in an interview, be sure they have a clear understanding of your standards. From the first minute you meet a potential customer, be sure they too have a clear understanding of your standards. The employee is accountable to you and you are accountable to your customers. There are some mechanisms or tools you can put in place to help you with this definition of “correct” and the organizing of your thoughts, direction, standards and accountability. Setting standards is a way of organizing your business, your time, and your efforts so that everyone is pointed in the same direction. I compare a loosely run business to the chaotic nature of an unorganized closet. It takes effort to continually mind the clothes, hangers, shoes, boxes, hats, and various other things found in your closet, but there are few things more frustrating than not being able to quickly identify what you have, what you need, and what you want to wear. If everything in your closet were always perfectly hung, in order, and in good condition, wouldn’t your day be much brighter? Wouldn’t your attitude be more positive? Wouldn’t this save you a lot of time? Be a closet organizer for your business. Keep things organized and take control of your situation. Here are just some of the tools of organization that you might find handy. If you have some of these in place, congratulations. If you don’t, consider starting today! If you need help, reach out to me. I have developed templates that can help you get started. I have done the hardest part for you. I have identified the skeleton outline of the content needed; you just need to customize them for your business! Take care and I wish you and your business the very best! Maybe you are thinking I am going to write about a team building exercise or an event put on by you or a group of your employees as a way to blow off some steam and enjoy time with each other. While that may be fun, the “Company Float Trip” is purely a metaphor for the purposes of this post. You see, you can look at your Company as a boat, tasked with navigating a swift current in an ever changing market called the River and you are the Captain of your boat. You start your business by selecting a boat, most appropriate for the type of journey you are going to embark on. You have never navigating the river before, but you set a course by making plans to handle situations like turns, dips, rapids, and the occasional shallow areas where you feel like your boat is hitting the rock bottom. You enjoy the calm spans in the river where you can lie back, take a break and rest, knowing for a brief period while you rest that your boat is likely to stay on course, but inevitably we know the Captain will need to take charge again, because the market (river) never sleeps or rests. Rivers come in all different versions, many varied lengths, and a variety of difficulty levels. You see, you have the ultimate control as to what river you set sail in but you need to make sure you have the correct type of boat to survive the river you select. Likewise, when it is time to pause and “anchor” somewhere in the course of the river to gather your thoughts and make corrections on your mapped course (teach staff, hire or fire staff, set policies, etc.) I must offer you caution. Policies, discipline, coaching, teaching, motivating, and standards are all forms of anchors for your business. These anchors allow you to have a solid handle on the speed, direction, and depth of your business, which is ultimately the success or failure of your trip. However, too many times we are tying our ropes to hollow efforts because we do not get the correct management training ourselves to put some real weight and thought into our directives and leadership actions (anchors). It’s like tying a rope to an inflatable ball, tossing it into the river and expecting it to hold our business on course. You “float” it out there and eventually it has negative effects. For a while you see the ball, but after a short period of time, it has disappeared and is forgotten until it reaches the end of the rope which is tied to your boat. What it does then is drag us in directions we don’t want to go, allowing the river to dictate our direction instead of us Captains. Poor management puts the market and other forces like staff, uncertainty, fear, and lack of confidence in leadership in control and YOU out of control. Sound familiar, Captain? Take control of your boat. Seek training. Acquire more skills. Be wiser. Gain confidence. Captain your boat. Here’s the best part. The river you are in has been navigated successfully before. All you have to do is engage previous explorers that can show you how to get your boat further downstream to those places and times you will enjoy. I can help you. Reach out to me by emailing me at joe@joezuccarello.com. I look forward to working with you on your journey! I also encourage you to share this with your friends in the industry, tell them to follow my blog, and feel free to leave a reply below. What do you think about when you hear the phrase, “Back to School”? I can’t help but remember a few, very vivid times in my education. It is amazing what triggers our memories. When they were little, I used to shop for school supplies with my boys. I would pick up a pack of crayons and the smell would thrust my mind back to elementary school. Later, as they grew, we were found shopping for electronic devices like calculators and laptops. This shopping experience brought me back to my prehistoric days of the pencil, the pad of paper, and the Trapper Keeper (showing my age a bit here), way before mobile phones, tablets, and email. But one thing I believe is timeless is the desire and need to continue learning. I didn’t rush off to college after high school. It wasn’t until 10 years later that I earned my undergraduate degree and my Master’s Degree a couple years later. But the important thing is, I kept learning and continue to learn something new everyday. With our lives as crazy as they are, our schedules bursting with more events then we seem to have time for, and our energy levels depleted from the exhausting work we do every day, it is easy to end one day and start the next, just to repeat this process over and over again. Someone once said that it take seven days to create a habit. That is, do something for seven days in a row and it is now something we expect to do and may even look forward to doing. I started one of these habits some time ago and I wanted to share it with you. Every day, I make time to learn something new. Yep, I am now my own school. ZU–Zuccarello University. Nice ring to it, huh?! My classroom can be behind my desk in my home office, in a comfy chair at my local coffee shop, on an airplane at 37,000 feet, or on my patio with a glass of wine. There are many more classrooms, but these are some of my more frequent venues. My class times are usually pretty short, typically lasting less than an hour. That’s pretty funny since my attention span back in school was just about as long. My teachers are books, podcasts, online videos, conversations, and good old observation. My classmates are my closest friends, family, colleagues, and sometimes strangers who I meet that have something they share during a conversation sitting next to each other on the airport parking shuttle. My lessons are self assigned and often impromptu. For example, there are many things we can learn by watching others do their jobs. Some do their jobs with excellence, and we make a note of what impresses us, while others struggle in their work and we make a note of what we want to avoid. My homework is scribed in an old fashioned, spiral bound steno book. I probably have a dozen of these laying around. In fact, I keep one by my bedside, just in case my dreams serve me a lesson worth listening to! It’s been known to happen. I once work up at 2:30am and rattled off nineteen chapter headings for the book I am going to write one day. I know…I’m weird that way. I have accepted that my Zuccarello University graduation will never happen. I will never know all that I could know and I will certainly be caught sleeping while life lessons pass me by, just like in Mr. Holstein’s History class my Sophomore year. One thing is for sure. I have completely accepted the role of the “forever student”. I encourage you to do the same. Find (make) time in your day to learn something new. Whether it is literally a special hour of the day you assign as “class time” or if it is little bits and chunks of knowledge you see or hear throughout the day (it only counts if you write these down so you can remember them later). One easy way to learn is to have lessons delivered to you every day. Blogs (like this) are a perfect example. There will be some really cool new learning opportunities coming your way soon! I am making it my mission to bring my experiences, my lessons to you. Click here to be notified of upcoming events and materials I am developing that I know you will enjoy. Let’s learn together. Have friends in the pet industry? Be sure to share my Blog with them and encourage them to follow us as we grow together. Have you ever heard the saying, “People quit managers, not companies”? Maybe you have been in this situation before. You are happily employed and one day, the manager whom you have forged a great relationship with for a number of years is being promoted and the new manager is someone that you simply cannot stand and now, for the first time in your employment at this great company, you are thinking of leaving. Or, maybe you landed a job in a company you have always admired and wished to work at, only to be under the direction of a manager who didn’t seem to match your perception or reputation of the company, and now you have a tarnished view of what the company actually stands for if “they allow this manager to stay working here”. Here’s a hard question to deal with. Are you this type of manager? Do you have staff who have worked with you forever? Do staff members come in and out of your business as if through some sort of revolving door? If asked, and promised that their answers would never be disclosed, what would your staff say about you and your management style? Have you ever asked them? Are you afraid of what you might hear (if they are honest)? What if I told you that this is easier than you think? What if I told you that some simple changes in your behavior could carry with them some very impactful, positive results? What if I told you that you actually have much more control over your environment than you once thought? What if I told you that YOU are usually the problem and everyone around you knows it but YOU?! Well, my friend, I am here to tell you all of these things are true. I could write for days on this topic, but I am going to focus on just one of these simple changes that will yield immediate results and hopefully motivate you to discover other ways to create a better workplace for yourself and your staff. I could go on and on and tell you about my second favorite behavior change, Active Listening, but that will be in a future post. Are you ready? Are you sure? It’s mind blowing! It’s going to change your life! Here it is….wait for it…wait for it…..SMILE! I know this sounds corny, but try this. If you doubt me, first try it in a place where you don’t know anyone around you and maybe this place is not so much fun to begin with. Try the Post Office or the License Bureau. Both are a real test of patience and tempers can often flare up like brush fires! Pick a place, any place. Go there. Look around you and turn it on! SMILE! Make eye contact, SMILE! Speak to people with a SMILE on your face. Heck, try this on the telephone. Say what you are going to say, but force yourself to SMILE while you are speaking. When you see the results this has, then take it to the workplace. If you are the manager, leader, business owner, etc. you have a duty to always be in a better mood than anyone who works for you. Some days (many) it will be difficult, but you must be in a better mood than anyone else because your behavior is emulated by staff and customers and it is similar to making a copy of a copy, the quality with every copy gets poorer and poorer. Here’s the best part. As attitude suffer and problems arise as a result, guess what?! They all come back to you! So do yourself a favor and start everyday by forcing yourself to SMILE and see what happens. Be sure to like this post, leave a comment, and PLEASE share this with your friends! Cool new stuff coming soon! Click Here to find out more! So who is the “leader” in your business? Yep, most of the time, it’s YOU! For the sake of this post, let’s just say it is. And for fun, let’s pretend that your customers are aliens. Side bar: I know some of the customers we encounter act like they are from outer space, but we are fortunate enough most of our customers qualify as Earthlings. When your customers walk into your business, can they recognize the leader? What do you do make it obvious? Do you do anything at all? Leadership demonstrates authority. Expertise reinforces authority. Yep, one way to be a good leader is to be an expert in the services you provide or the products you sell. Here is an example you can relate to. When you first take your pet in to their Veterinarian and the very able Vet Tech begins performing all of the preliminary exam steps, they are the expert. However, the moment the Veterinarian walks into the room, the very able Vet Tech is now invisible to us. Why? Because the expert has commanded our attention and we immediately recognize them as the leader. We are confident the leader will make solid recommendations and in many cases, give us specific direction (diagnosis, wound care, medicine, etc.) that we can follow to be successful and happy with the outcome. The very best experts offer direction, knowing they have already garnered your confidence, and you can feel comfort in knowing that you don’t even have to think to hard about it, they have it already figured out. In a day of life complexities, it is nice every now and then to rely on someone else’s knowhow and direction to guide us. This is your challenge. Don’t just be an order taker in your business. Play an active role, an expert’s role, in the partnership you have with the pet parents in their pet’s life. Offer suggestions, give advice, and assume the lead. Believe it or not, all of us like being told what to do every now and then. Especially in cases where we don’t have all of the answers already. I encourage you to share your own experiences by leaving a comment for others to read. 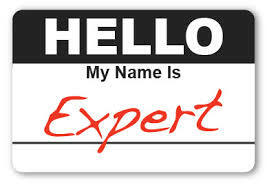 Who knows, maybe someone else has some expertise to offer you or vice versa! Cool new stuff coming soon! Click Here to find out more!! At first glance, you may think that I am speaking of that very brief moment just before you fall asleep. I can see why you think that, as most of the time that is what we envision when we think of our head nodding. However, from this point forward, I challenge you to see head nodding in a whole new light. You see, human beings are funny creatures. One of the interesting traits about humans is that we love to be part of a community, even if the community is only comprised of two people. We like to belong. Even loners….you like to belong too, you may just not admit it. With this said, humans have a superpower we don’t even realize we have. We have a superpower over the community that surrounds us, even if it is only one other human. It is the superpower called…the Head Nod! This is a superpower everyone has, but most don’t know to use it to your advantage. The results of using this superpower are mind blowing! It can change moods, it can garner support, it can give confidence, it can get sales, it can make you money! “How do I use this superpower?”, you ask. Well, like most of the tips I recommend, this one is just as simple. The next time you find yourself talking to someone (hopefully for most of us this is ALL the time! ), simply make a point of shaking (nodding) your head and making eye contact. I would bet you see the person or persons standing in front of you begin to emulate you and like magic, they will begin to shake their heads as well! Yep, amazing!!! Why is this a superpower? Because subconsciously they are agreeing with what you are saying and if you are saying things like, “buy my product or buy my service”, if they are agreeing with you they are more likely to have already made a subconscious decision to BUY! You have taken over their minds and convinced them what you are saying has their confidence and this unspoken power of suggestion has just gotten you past the doubt, past the questions, past the apprehension, and closer to the YES! Their head is already saying “YES”, so the mouth is usually soon to follow! So go out there and start “nodding off” and see just how powerful you can be! If you like what you read, PLEASE don’t be selfish…SHARE it with your friends in the industry! They will thank you for it!